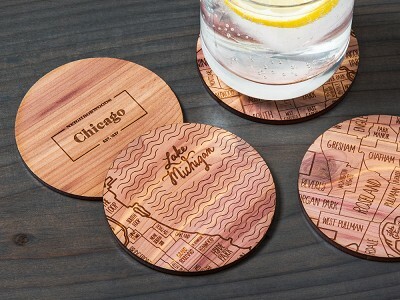 With Neighborwoods, you can commemorate a city that is dear to your heart by hanging it on your wall, luggage, or by raising a glass to it, thanks to these wooden wall maps and accessories. Aymie Spitzer has always been drawn to the beauty of vintage maps. Of particular interest to her is their hand lettering and ornate details. So it’s only natural that she turned her own hand lettering into a custom font to artfully adorn her Neighborwoods creations. Each piece is made of unfinished cedar that has a lovely, mild scent and an old-fashion, handcrafted look. The wall maps come equipped with an attached sawtooth hook for easy mounting. 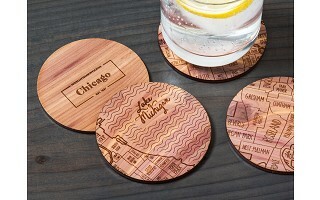 The luggage tags can be laser engraved with your personal information and the coasters are cut from the maps and come in sets of 4—each one featuring a different part of the town or city. Neighborwoods was created from my desire to make a neighborhood map of Brooklyn, with close detail to accuracy and antique cartographic aesthetic. 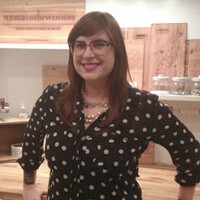 Neighborwoods was developed through a new business model concept called Hyperakt Labs, while designing with Hyperakt, a Brooklyn based design studio. Each employee has the opportunity to concept and develop a personal, non-client based project or product. Neighborwoods is a bold example of how this business model of focusing creativity outside of client work can have a positive impact throughout the rest of your work and career. 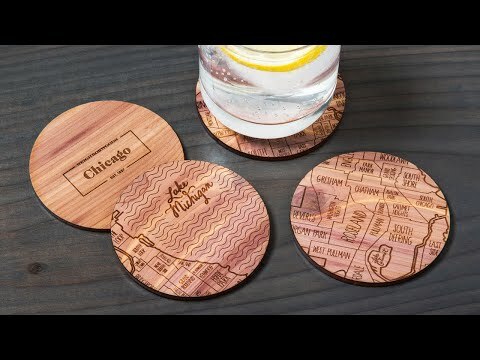 In thanks to the overwhelming reaction and support to the product, Neighborwoods has now grown from one Brooklyn map to 26 cities and multiple map products like coasters and necklaces. I'm so pleased that through my maps, I've had a small part in helping people share their stories and memories of their hometowns. Love this idea wish there was more to choose from, Santa Monica, Ca and Big Timber Mt. for instances. Or even San Luis Obispo, Ca. We wish that we could offer you those cities right now, but the cities listed are what is available today. It's possible in the future this may change, but we'll be sure to alert our community if this happens. Wouldn't that be nice? :) We hope you have a wonderful Labor Day Weekend in store. I have a sister-in-law that lives near Lake Washington in Seattle. Any chance I could get a coaster set that included that part of the city? Or would it be the coasters shown on the website? Love the idea! Thanks. Neighborwoods isn't providing customization for the coasters. Sometimes small companies and entrepreneurs like Aymie need to start small. I'm sure she wants to be able to provide neighborhoods for everyone - but right now she needs to manage the neighborhoods she is offering. Hopefully your sister-in-law would still love the Seattle coaster. Have a great long weekend if you're celebrating it. That does indeed sound like a lovely idea. I'm sure that Aymie would love to make one for you - although right now she needs to manage the cities she is offering. She's small and just starting out so isn't able to offer as much as people may like. I'm so glad to hear you like them - we love them too. 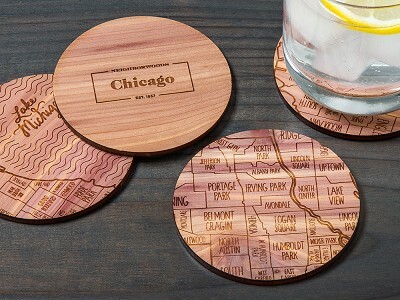 With Neighborwoods, you can commemorate a city that is dear to your heart by hanging it on your wall, luggage, or by raising a glass to it, thanks to these wooden wall maps and accessories. Aymie Spitzer has always been drawn to the beauty of vintage maps. Of particular interest to her is their hand lettering and ornate details. So it’s only natural that she turned her own hand lettering into a custom font to artfully adorn her Neighborwoods creations.